Like her patron in the Oval Office, Representative Martha McSally says one thing but supports another. 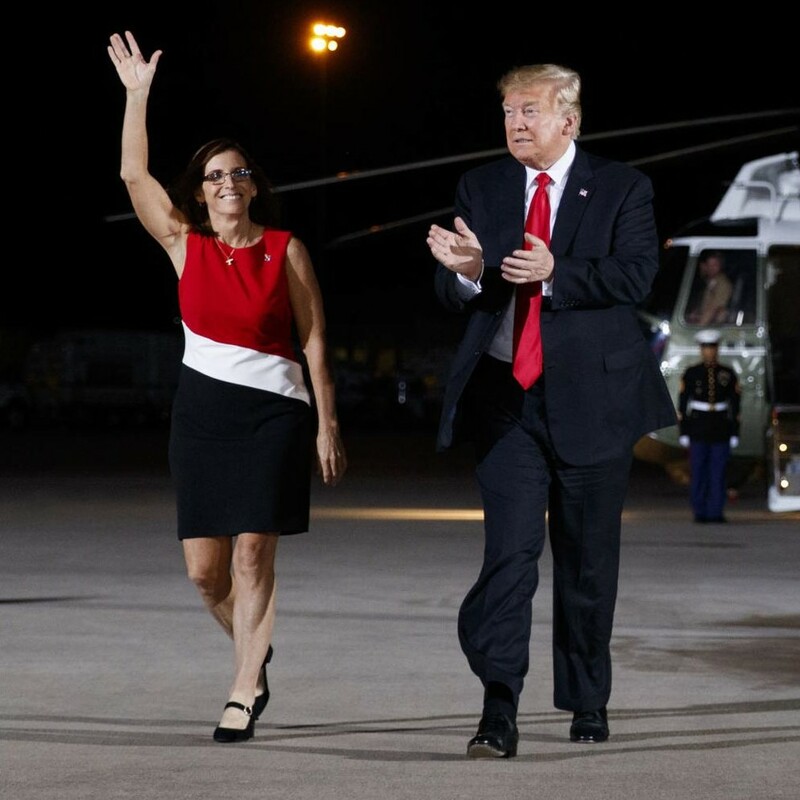 Like Donald Trump, Martha McSally says she will do one thing and instead does the opposite. Martha McSally still says she is fighting to protect people who have Pre Existing health conditions. Her voting record, including her votes to repeal Obamacare without a replacement that would protect those preexisting conditions, proves otherwise. Martha McSally still says she is fighting to protect her sister and brother veterans. Again, her voting record against measures protecting veterans from predatory loans, promoting job training, and safeguarding their healthcare prove otherwise. This culture of hypocrisy towards our veterans, the people who are willing to sacrifice their lives for our country, apparently extends to her office staff in Tucson. One married couple, Carey and Caleb Hayter, recently recounted how the McSally office was dismissive of their request to help research and help assist the couple, two retired veterans of the Marine Corps, in their pursuit of finalizing disability eligibility and issuance of benefits to Carey through the Veteran’s Administration. After receiving the standard bureaucratic form letter from the McSally office that they could not help, the Hayters took their plight to the Arizona State Department of Veterans Services where their staff was able to assist the Hayters and bring the matter of Carey’s disability eligibility to a positive outcome. Martha McSally now says, in a new campaign ad, that she is fighting for equal pay for women and men. She even she said that she supported it when she first ran for Congress in 2014. Again, her voting record proves otherwise where she voted to block consideration of a paycheck fairness measure in April 2015 and a measure that would have allowed women to sue for wages not allowed because of discrimination. Like the President, Representative McSally is a candidate that does not fight for what she says she supports. She was even caught on video being called on these falsehoods by Arizona journalists, becoming frustrated to the point of saying health care “doesn’t matter to most voters,” and “do you have anything to talk about like the caravan…” which is an obvious attempt to divert the topic to a fictitious “invasion” of migrants, armed with their babies dirty diapers as they flee political persecution. Arizona Residents need public servants that will be honest with them, represent their hopes and concerns, and work to achieve their dreams and goals. Martha McSally and her staff do not embody that vision of a public servant. Arizona can do better and fortunately has a candidate in Kyrsten Sinema, Representative from Congressional District Nine, endorsed by the Arizona Republic and Arizona Daily Star, that has demonstrated she can fulfill the responsibilities of a public servant. People should seriously consider supporting her in this year’s elections.